In August last year, Republican candidate Rick Perry said that he had been seeking divine intervention in order to curtail and eliminate EPA regulations. 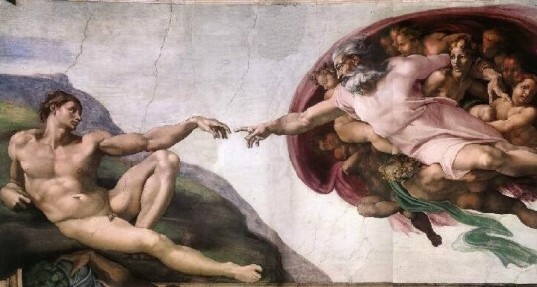 In a statement to CBN, Perry famously said he had been praying to God so that the Almighty would open President Obama’s eyes and “ask that his EPA back down these regulations that are causing businesses to hesitate to spend money.” Well, it appears that Perry was making a big mistake in seeking the Creator’s aid, as according to Church leaders in the United Kingdom, God hates pollution and fossil fuels. As part of Ash Wednesday celebrations, several Church leaders signed a declaration saying that reducing dependence on fossil fuels is “essential” to Christian discipleship. As part of Ash Wednesday celebrations in the United Kingdom, the Archbishop of Canterbury and Cardinal Keith O’Brien, Archbishop of St Andrews and Edinburgh, made a Lenten call for repentance and a “change of direction” to combat the dangers of climate change. The Church of England even has a global warming environmental charity branch called, quite forebodingly, Operation Noah. Other signatories of the declaration included Bishop of London the Rt. Rev. Richard Chartres, Archbishop of Wales Barry Morgan, and leaders of the Methodist, Baptist, and United Reformed churches, as well as Archbishop Desmond Tutu. This isn’t the first time that the Catholic Church has shown its commitment to green. The Vatican is almost completely solar powered and is the ‘greenest state in the world’. So there you go. Next time you ask yourself “What Would Jesus Do,” the answer is, according to Church leaders, recycle and buy an electric vehicle. Great stuff but, since when is the church of England catholic? Of the church leaders that you mention there, only one; Cardinal Keith O’Brien is Roman Catholic. The rest all part of the hierarchy of the Church of England or other Episcopal/Anglican denominations. 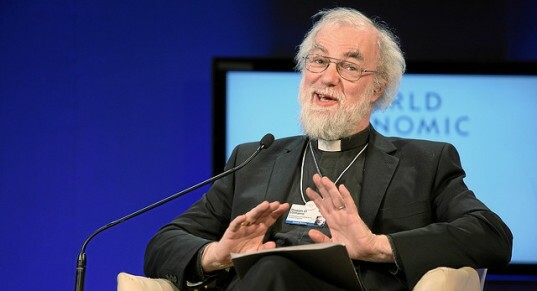 The wild-haired fellow that you have pictured is Rowan Williams; Archbishop of Canterbury and head of the CoE. Certainly though, the Roman Catholic Church has been voally concerned about the destruction of the Earth which we are called to care for at least as far back as the 70's and Papal writings going back to the 19th century touch on the downsides of industrialization for the people at the bottom of the pile and a Christian's duties to help alleviate this suffering. In August last year, Republican candidate Rick Perry said that he had been seeking divine intervention in order to curtail and eliminate EPA regulations. In a statement to CBN, Perry famously said he had been praying to God so that the Almighty would open President Obama's eyes and "ask that his EPA back down these regulations that are causing businesses to hesitate to spend money." Well, it appears that Perry was making a big mistake in seeking the Creator's aid, as according to Church leaders in the United Kingdom, God hates pollution and fossil fuels. As part of Ash Wednesday celebrations, several Church leaders signed a declaration saying that reducing dependence on fossil fuels is "essential" to Christian discipleship.